Update: if your Moto X (including Moto X 2nd Gen), or Moto G (including Moto G 2nd Gen) was updated to Android Lollipop 5.0, please check this guide on how to enable Flash on Android Lollipop. Flash (flash player) is NOT supported on Moto X, by default. This is not a decision of Motorola. It is actually a decision of Google and Adobe two years ago. Adobe withdrew the flash player app from Google Play store in August 15 2012. 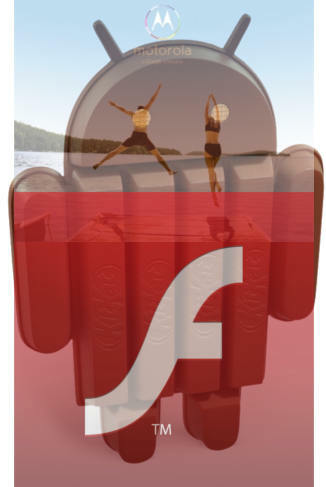 Essentially, Android 4.0 (Ice Cream Sandwich, ICS) is the last version of Android with official flash player support. Of course, if you need flash player for Moto X, this post will guide you to enable the flash support on Moto X. If you think your Chrome browser in Moto X supports flash natively as the Chrome browser in desktop, you are wrong. Chrome for Android (the default browser in Moto X) never supports Flash. When you received your Moto X, you probably already realized you cannot open any sites that require flash player. The flash player solution for Galaxy S4 was valid for Moto X before the KitKat (Android 4.4) update for Moto X arrived last November. You can still use the solution if your Moto X has not updated to KitKat. But I would recommend you to update to Kitkat, because of the new features and improvements for your Moto X after the KitKat update. Once you update your Moto X to KitKat, you will find the flash does not work again. In KitKat, Google finally cut the cord for flash. The old flash player plugins in some third-party browsers do not work any more. This is the reason why the flash player solution for Galaxy S4 was not working for Moto X after the KitKat update. Luckily, the new workaround is very simple. Most of the browsers are not working. The recommended (and working) browser with flash player support in Moto X is Dolphin browser. 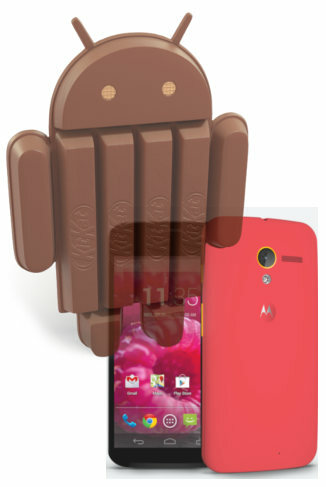 Motorola beats all Android smartphone makers again with the Android 4.4 (KitKat) update! When Samsung, HTC, Sony and LG are still struggling to push Android 4.3 (Jelly Bean 4.3) update for their flagship phones, Motorola gives us the KitKat treat. We got this Android 4.4 update even a few days earlier than the owners of pure Android Nexus 4. And it seems the update works very smoothly. Most Moto X owners are enjoying the updated phone. As a contrast, a lot of Samsung Galaxy S4 owners are grumbling about the latest Android 4.3 update. There are quite a lot of improvements in the Android 4.4 (KitKat) update for Moto X. In this post, you will learn the top 10 improvements or new features you may enjoy everyday. If you have mixed contacts on phone and Google, you know all the contacts are combined in your phone. The new Hangouts app now moves a step further: it can (optional) combine your messages (SMS, MMS) with all other conversations in Hangouts. With the new Hangouts app, all of your SMS and MMS messages are together in the same app, alongside your other conversations and video calls. The new Hangouts app also allows you to share your location and send animated GIFs. This makes it better than the most popular SMS app: WhatsApp. Essentially, the new Hangouts app eliminates the need of a separate messaging app. Of course, if you are not ready for this change, you can still use messaging and Hangouts individually (although they share the same contact list). You can focus on any location on the viewfinder by just dragging the crosshair to the desired objects or location. Moto X will automatically adjust the expose and lighting conditions for the photo. The result is better image quality.